Full access to garden, partial access castle. Dogs are not permitted in the gardens but a dog walking area where dogs on leads may be exercised extends from the car park to the new bridge, adjacent to the golf course. Castle open same times as gardens. 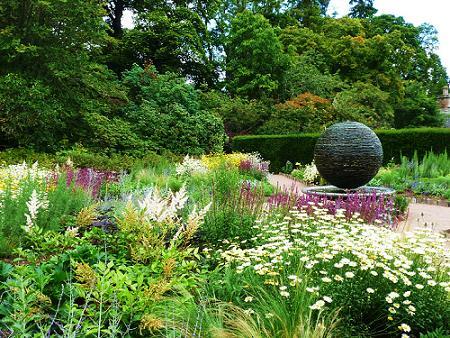 Cawdor Castle is fortunate to have three gardens. 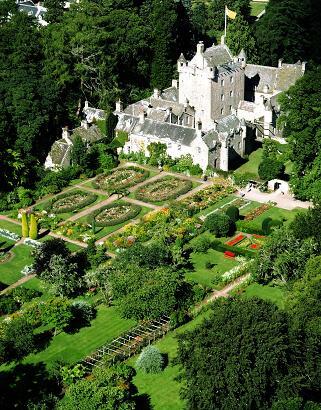 The walled garden at Cawdor Castle is the oldest in Scotland and dates from c.1600 and later became a kitchen garden. It now has symbolic gardens and a maze. The Flower Garden was laid out some 100 years later and was originally designed for enjoyment in late summer and autumn. 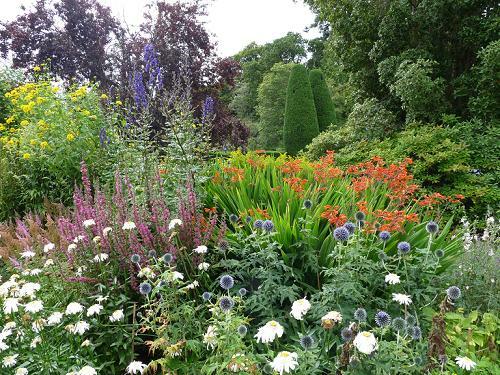 However this garden's season has been extended to give pleasure from early spring, with bulbs, bedding plants, herbaceous borders, ornamental trees and shrubs, roses and contemporary sculptures all providing delight. The Wild Garden is the youngest, being planted in the 1960's and lies between the Castle and the stream of the Cawdor Burn. It has rhododendrons, spring bulbs and splendid trees. 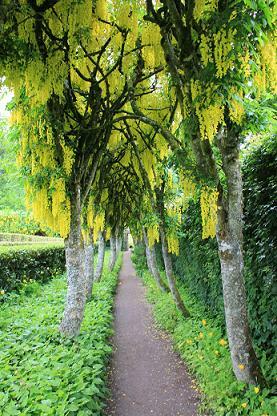 Two further gardens, the Tibetan Garden and Traditional Scottish Vegetable Garden, can be seen at Lady Cawdor's summer home Auchindoune House, half an hour's walk away through Cawdor Big Wood but with much more restricted opening days and times. Open seven days a week, 10am to 5.30pm (last admission at 5pm)- see website for details. Refreshments, full disabled access to Walled and Flower Gardens, limited access to the castle, shops. Editor's note - another of my favourites and can be done in a day from England to Inverness Airport - only 10 minutes' drive away! If you want to find places to stay near Cawdor Castle and Garden, why not stay in one of our recommended hotels. Each hotel has genuine guest reviews enabling you to book from anywhere in the world in total confidence. Not only do we feature hotels near the garden, we also feature hotels worldwide and at all major airports. Special prices up to 70% off standard rates as well as hundreds of exclusive deals. 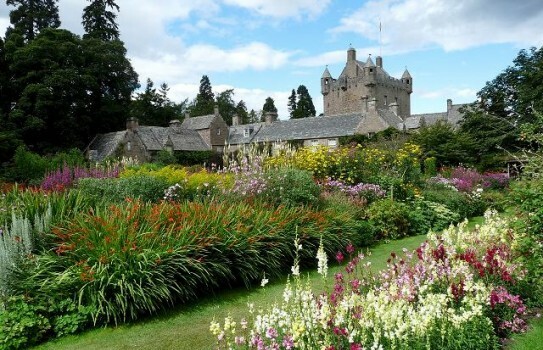 Look now for Cawdor Castle Gardens- click here.